And we are back with a new challenge - which I, Sophia, would be hosting this month! I'm from a little dot of an island nation called Singapore (somewhere in South East Asia). 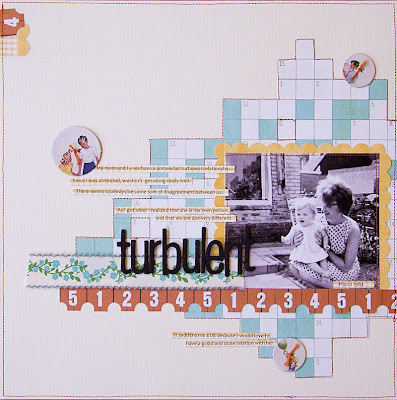 I'm wife to David and mom to a precocious tyke called Daren, of both whom are my constant inspiration in my scrapbook pages! I was raised in a single-parent family unit, but it was full of love and sacrifice from the amazing women in my life - my mom and my late granny. Without my mom's determination to make ends meet and my late granny's devotion in helping my mom raise me while she's out working, I would not be the woman I am today. "Women in our Lives " - How they have shaped your present life constructively or not-so constructively. Do share with us your story on how the women in your life has affected you positively or perhaps negatively. It's that simple. Journalling: I've been exceedingly blessed by these wonderful women in my life - my mom & my beloved late granny. Without my mom's sheer determination to bring me into this world, despite being a single mom; I wouldn't be here telling & sharing my story & giving all glory due to the Lord. My mom & I have been blessed by my granny's unconditional love, in caring for me, helping my mom to take care of me while my mom had to make ends meet. Both my granny & mom had taught me to live my life with faith in the Lord. To grow in His love and in His wisdom. Without them, I wouldn't have been able to have such an enriched life that I could confidently pass that legacy down to my children & my children's children. Journaling: I have been so blessed to be #4 of five girls. I could have never asked for a better family to be a part of. You're my #1 "girls" and best friends always! 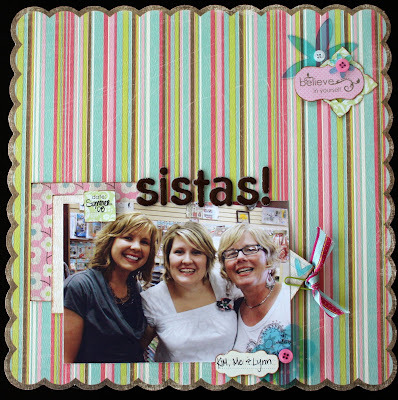 Journaling reads:These two girls are amazing! They inspire me with creativity, teach me to be a better person & friend and above all... believe in myself! 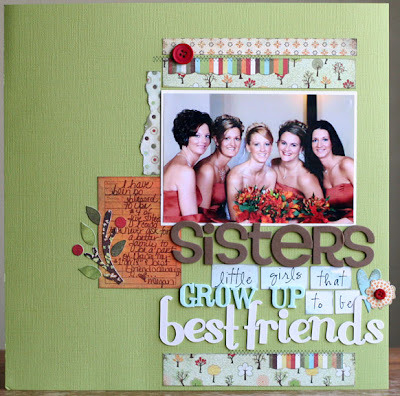 Thank you for the encouragement & friendship Kim & Lynn... my sistas! Journalling: This woman will always have a special place in my heart. She's been a single mom to me since I was 2 yrs old. We have been thru alot together - good times, bad times, & in between times. We moved to N.C when I was 8, moved back to Iowa when I was 15. I put this woman thru hell & back in my teenage yrs. Alot of fights, yelling, rebelling. But she was always there for me no matter how "bad" I was. That's a great mom. She made sure I had nice things. Now she's not only my mom but my best friend. I'm so grateful to have her in my life! 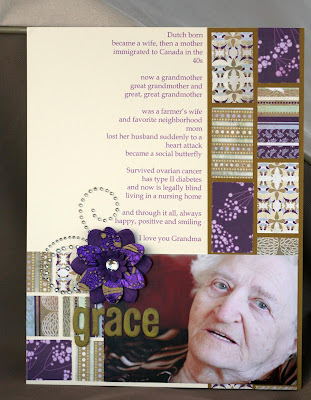 Journalling: My Mom has been so, so instrumental in every aspect of my life. But most importantly, she has taught me what it is to be a mother. I stand in awe of her love, patience, and compassion everyday. I love you mom. Alrighty! We'll be back on the 15th to share some tips/techniques as well as to show the RAK I'm putting together for a winner for this challenge! 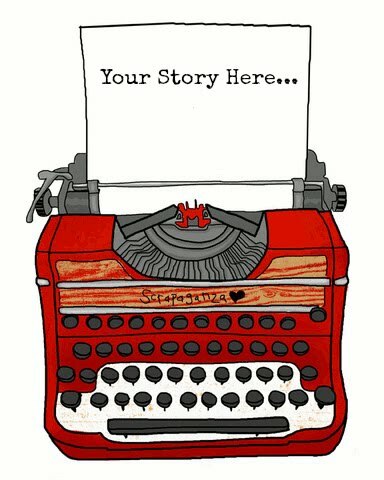 Don't forget to share your story with us by 25th of May! Link your layouts under the comments in this posting! Great layouts ladies!!! Awesome hosting post this month Sophia! Love what the DT members came up with. Here is my page. It's about my most fav girls; my mom and my dd. Lovely challenge Sophia!!! And I love all your examples here.You girls rock!!! Thanks a bunch for the inspirational stories. 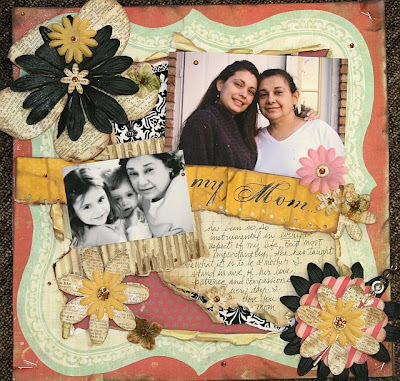 Here is a scrapbook page I created about the woman in my life (my mom). Thanks for looking, and great job everyone! This challenge is especially appropriate for me because my Mom's birthday is in May (plus there is mother's day).. and my Mom is 60 this year! Sorry for submitting so late as her birthday is late in the month. haha. Thanks for the challenge! Altered Jar tip - for the woman you love!